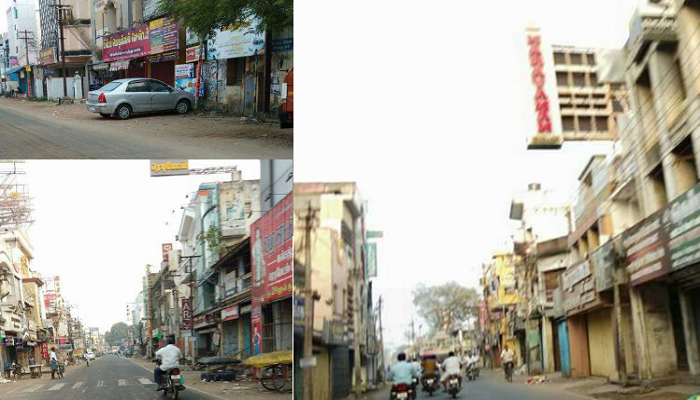 The tension was in the air in Mayiladuthurai, Tamil Nadu, and shops here remained closed on 23rd March 2018, after Hindu groups called for a shut down after severe desecration of portraits of Hindu God Lord Rama was done by a fringe group two days ago. Tamil Nadu Police have said about 2,000 shops remained shut while the streets bore a deserted look as Armed Reserve police were posted across the town to keep the situation in check. The desecration was led by professor Jayaraman, who had earlier headed the anti-methane project stir and it did the desecration on March 20 to protest against the damage caused to a statue of Late ‘Periyar’ E V Ramasamy in Pudukkottai, Tamil Nadu. The vandalism against Lord Ram at Mayiladuthurai is highly condemnable. I am surprised that DMK and others who held the assembly to ransom on Ram Rajya Rath Yatra didn’t condemn this incident. Let Hindus wake up.